Humans produce two flammable gases: hydrogen and methane. Flammable gases accumulate in an enclosed space and can ignite. 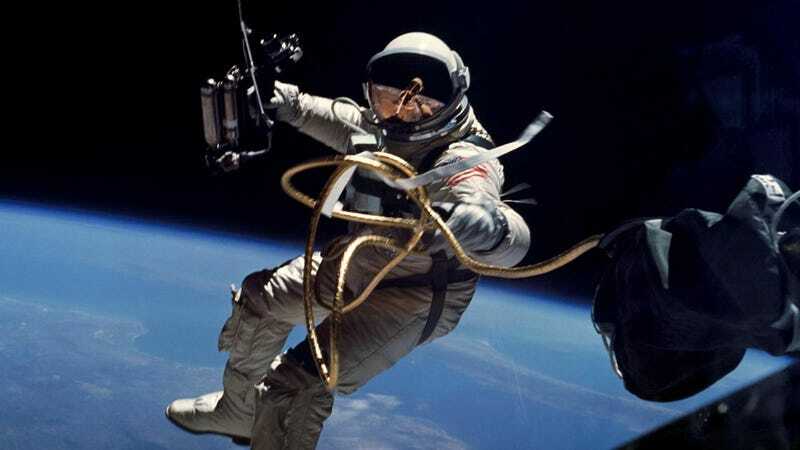 Astronauts are humans who spend lots of time in enclosed space. The logic is irrefutable. So, what's the risk to farting astronauts? Breath and rectal gases were analyzed during the first and final weeks. Flatus gases varied widely within dietary groups but much more gas was generated with diet S than with F. In the first 12-hour collection, subjects fed S passed 3 to 209 ml (ATAP) of rectal H2 (avg 52) and 24 to 156 ml (avg 69) from the lungs (assuming normal pulmonary ventilation). With F, these values were 0 to 3 ml (avg 1) and 6 to 36 ml (avg 20). Subjects were calmer during the second test. Gas production was lower with S than initially; F values were unchanged. Methane differed idiosyncratically, presumably due to differences in flora. Computed from 12-hour values, maximum potential daily H2 and CH4 are per man: for S, 730 ml and 382 ml; for F, 80 and 222 ml. Volumes would be larger at reduced spacecraft and suit pressures. Basically, the Gemini-style diet created way more flammable gas than the bland diet, which I guess means the Gemini astronauts went to truly herculean efforts to hold it in. Considering they were sharing a tiny capsule with just one other person, that maybe isn't that hard to believe. The scientific literature remains shamefully silent (Ed: but deadly?) on whether or not these findings were incorporated into NASA's work on future missions. We will assume the danger of farting astronauts has now passed, but I fear that may only be wishful thinking. Their paper formed part of a loose trilogy of flatulence-related papers that the pair worked on, which kicked off with 1968's "The Use of Expired Air to Measure Intestinal Gas Formation" and concluded with 1971's "Reduction of Intestinal Gas-Forming Properties of Legumes by Traditional and Experimental Food Processing Methods." Truly, if you needed to know something about farting in the late 1960s or early 1970s, you went to Calloway and Murphy. I would kill to be able to put something like that on a business card. Via NCBI ROFL. Image via NASA.